Pastor Steve also has the unique qualification of being a Christian stand-up comedian of more than twenty years. He performs as a headliner for the United States Military throughout the nation and for church ministries throughout California, as well as “Spirit West Coast” Christian festivals. Pastor Steve and the church team welcome your questions, comments & support. Please do not hesitate to contact us! PURPOSE ~ We provide a Christ-Centered, simple“Hour-with-God’s-Word” experience for our congregation. Our sermons are always Bible-based with Pastor Steve’s easy-to-understand, sincere and often humorous delivery of God’s message. 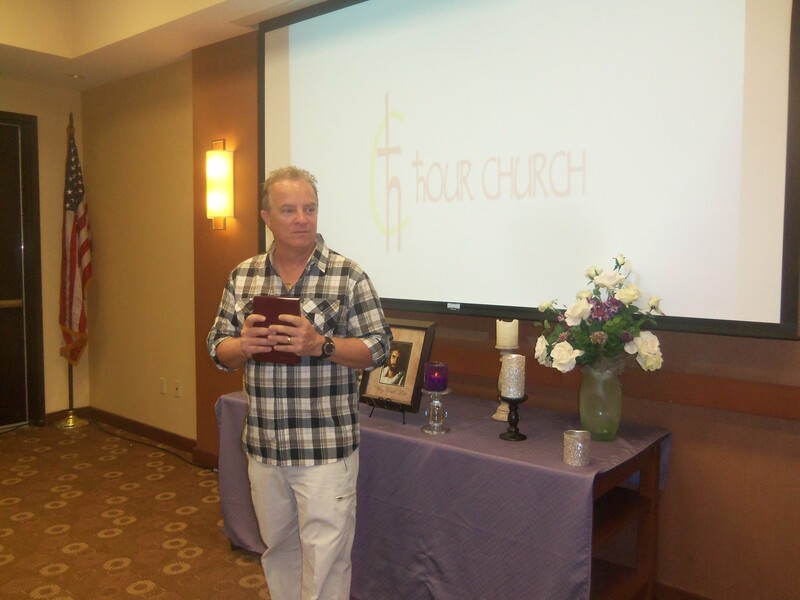 hOUR CHURCH was founded in 2012 by Pastor Steve Verret and his wife Jewel Verret. They have resided in the Carlsbad area, along with their two daughters, for the past several years. Prior to starting the hOUR CHURCH ministry, Pastor Steve served as a teaching pastor at Daybreak Church in Carlsbad and Church of the Hills in San Elijo. He has served in numerous branches of ministry during his career, from Jr. High Minister to Drama Director and Worship Host. Steve studied at Northern California Bible College, and is the creator and teacher of the “Bible Class for Dummies” program which has inspired many people to begin or renew a relationship with God’s word. These experiences and his love of teaching, along with the support of his wife, family and community, led Steve to create the hOUR CHURCH. Our church community is a gathering of friendly people who meet to study God’s word in an hourly “Weekly appointment with God”! Our weekly format is what is unique about us. Bible history and background stories with a bit of humor!